Chile is a Spanish Speaking country in South America occupying a long narrow strip between the Andean ranges to the east and the Pacific Ocean to the west. Southern Chile is one of the most beautiful places on earth. 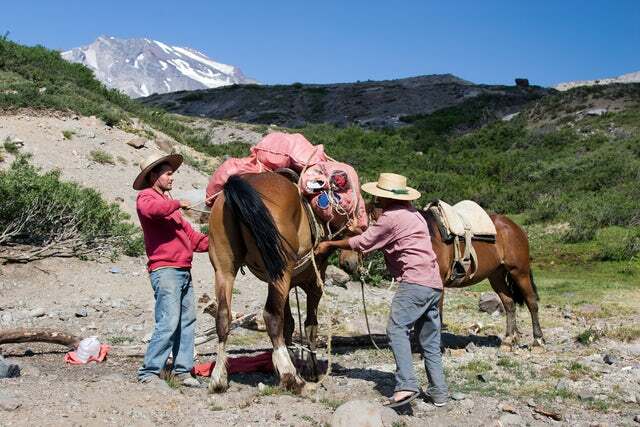 It features rich forests and grazing lands, and a string of volcanoes and lakes. You will get to see a labyrinth of fjords, inlets, canals, twisting peninsulas, and islands. Below are some things you probably did not know about the country. 1. Chile is home to the world's largest swimming pool. Located in Algarroba City on the Pacific coast, the swimming pool is 1,000 yards, occupies 20 acres, has a maximum depth of 115- feet and holds 66 million gallons of crystal clear seawater. 2. Chile's Atacama Desert is the driest place on earth. Some parts of the 363,000 square kilometers desert have never received a drop of rainfall. 3. In the year 1554, the Spanish conquistadors brought the first grapes to be planted in South America. As fate would have it, the crop would succeed beyond their wildest dreams. Today, Chile is the 5th largest exporter of wine and the 9th largest producer of grapes in the world. 5. If you are a tourist, you will be interested to know that Chile is home to Seno Otway Penguin Colony. 6. The Andes Mountains in Chile are some of the largest and still active volcanoes in the world. 7. According to Global Peace Index, Chile is the most stable and peaceful country in Latin America. 8. Chile is the origin of 99% of the world's potatoes. Actually, it is a big farming country being the number one global exporter of grapes, number two for salmon, trout, avocado, and plums, and number three for kiwis, raspberries, and blackberries. 9. One of the most scenic places on earth is the Chilean Patagonia area that measures 240,000 square kilometers. Apparently, the area has a population density of 1 person per square kilometer and thus 50 percent of the area is classified as Wild Protected Area. 10. The Straits of Magellan are popular with humpback whales. They are the only waters outside Antarctica waters where these whales gather for feeding. There you have it. If you are yet to visit this beautiful, economically progressive and politically stable country, then you need to add it to your bucket list. It is one place that you cannot afford not to go.